There is not a series I teach where I don’t feel some need to listen and apply what is taught. People will come up to me and say, “Yancey, you must’ve given that message for me.” Often the case is that I’m preaching to myself. Rarely, if ever, do I feel I’m teaching on a topic that I’ve mastered. No more is that the truth than my upcoming series entitled “Tap Out” whereby I’m teaching how Followers of Jesus can fight their sin with some measure of victory. Once again, I will preach just as much to myself as to everyone else. 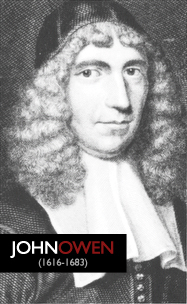 Thankfully, I’m going to lean on the biblical insights of a 350 year old pastor, John Owen. I was inspired to teach this series after re-reading through some of my highlights in Owen’s Of the Mortification of Sin in Believers. Owen, a 17th Century Puritan pastor in England, wrote a series of messages dealing with mortification (a great Puritan term for fighting – killing – sin) for teenagers. I doubt many teeneagers today, including their parents, would sit down and read Owen’s work. It is loquatious in style, archaic in terminology and short on syrupy, shallow fodder that fills up many modern day Christian books. It’s no small read but there are fewer books I know of that so clearly and biblically define the Christian’s response to sin. I’m grateful to Owen both personally and pastorally. Regrettably, I still have sins that tempt me more than I’d like and leave me in defeat more than victory. I know I’m not alone but it still feels comforting to be able to turn to one of the saints of the Church Historical and be tutored once again on what the Bible says about fighting sin. Excellent message today! The sin I’ve fought for most of my life is drinking. I lost the fight so many times. I gave in to it and turned to it to ease the shame of the things I’ve done in life. Not bad stuff, but certainly not Christian stuff. Anyway, it wasn’t until last year (at the Gathering around Sept 27), that I was able to let that go. I turned the shame over to God and he took that burden from me. I was able to forgive myself for the past and FINALLY move on. I still get in the cage with my sin, and I’m getting better at turning my anxiety over to God instead of the vino! It’s a battle I have to fight but not very often. Great series! This entire series meant alot to me personally! Thanks for hearing God, speak to your heart and share from your heart, as it touched mine. As you recall my late Pastor Doug and I shared many great times together and I felt it in my spirit a great closing to the message. Pastor Doug and I both shared Romans 6:11 as our favorite scripture that we stand on. I have not been so close as of late to that scripture and I thank God, that I thru this series was able to Remember, Reflect and Rejoice in the Lord for all the great things He has done in my life. I remember Pastor Doug just before his passing said, “He wanted to know Christ so intimately that he could experience The Power of His Resurrection!” Wow!